What a world we live in! It’s exciting to see a self-published book receive such attention, eventually becoming a New York Times bestseller! Truly, if a writer is talented enough with a good enough story, they can make it in this over-saturated market. And while some of my love for this book comes from my hopes of eventually being “discovered” as a self-published author, most of it comes from my love of scientific realism in fiction. Truly, this is more of a challenge than world-building in a fantasy genre, because in order for it to be believable, it must obey the laws of physics. But let’s get down to brass tacks here. 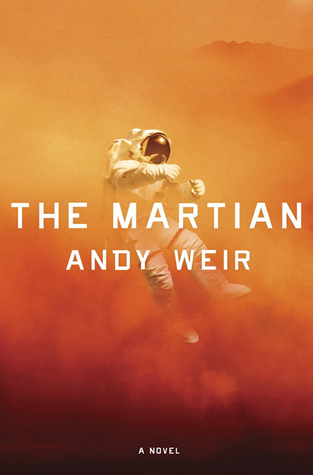 There is no doubt that Andy Weir did his homework on this book. In fact, some sections almost read like the output section of a very complicated spreadsheet (which I certainly appreciate, on a personal level). Even with the technical detail to keep the story grounded in science, the successive cause-and-effect events that eventually lead to the climax of the story give the reader equal amounts of elation and heartbreak right along with the protagonist, Mark Watney. Still, the problem solving accomplished in this novel merely proves how smart we are as a species today, and how the vast knowledge of the universe has catapulted us into the very realistic scenario portrayed in the pages. In fact, Weir’s methodical approach really gives the reader a scale of how big an operation a trip to (or from) Mars would be. Even though the science is front and center, the whole reason we read these almost intimate logs of a Martian astronaut is because the characters are so well written. With a humor and spunky attitude that help alleviate his dire situation, Watney almost comes across as a genius “everyman” in that most of his solutions could be arrived at with a little bit of thought and ingenuity. And while the majority of the book centers around Watney’s logs, every minor character has a depth and expertise that helps to propel the story forward. A fast and fun read full of excitement and ingenious science solutions, I give The Martian 5.0 stars out of 5.